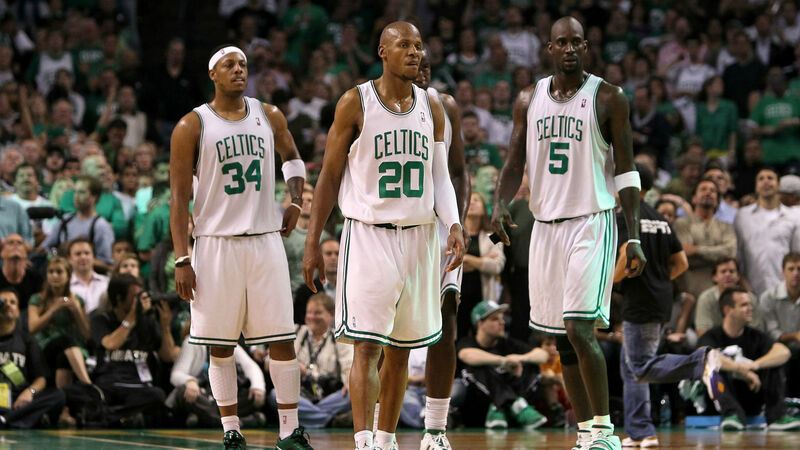 Ray Allen will enter the Naismith Memorial Basketball Hall of Fame on Friday, but he doesn’t expect all of his old teammates from the 2008 Celtics championship squad to celebrate his induction. The NBA’s all-time 3-point leader won a title as a member of Boston’s “Big Three,” but he was viewed as a traitor after leaving for the rival Heat in 2012. Allen managed to mend his broken relationship with Paul Pierce last year, but he never buried the hatchet with Kevin Garnett or Rajon Rondo. Despite Allen’s basketball career ending more than four years ago, he won’t be waiting for a call or text full of smiling emojis from any Celtics ahead of his Hall of Fame speech. “No, I don’t expect to (hear from them)… I talked to Paul a year ago today, and we patched it out,” Allen told The Athletic’s Shams Charania. “So much was made about my decision, and they were upset with me because I left for Miami. Rondo later said Allen just wanted “attention” to help sell the book. Those comments certainly didn’t help both sides cool down.